I'm currently in the midst of planning a trip back to New York City so we can visit friends and renew our long-term Thai visas. After staying in so many stunning yet affordable places across Southeast Asia, needless to say the reality of the New York lodging market had me shook. 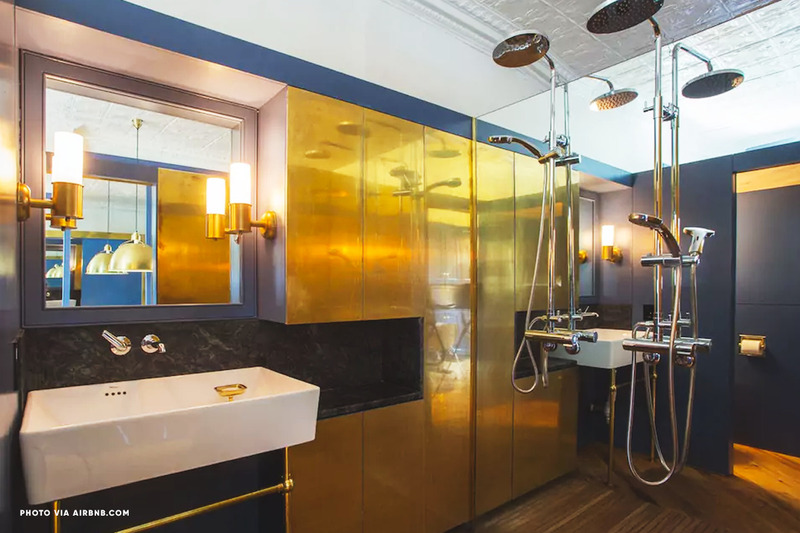 While I ultimately ended up booking four nights at the airy Boro Hotel in Long Island City, I probably had about forty Airbnb tabs and Booking.com tabs open simultaneously. If I hadn't stumbled on a discounted rate for Boro, we probably would've ended up staying in an Airbnb because it would've been more affordable for a four-night stay. 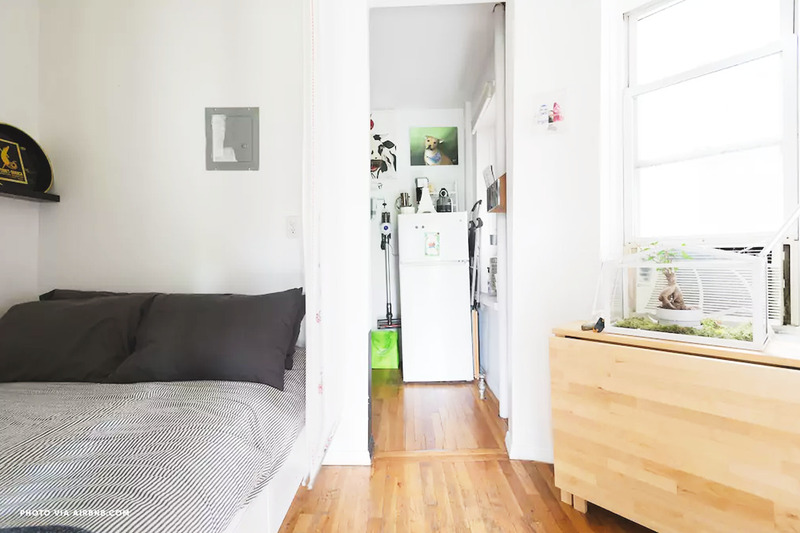 While browsing Airbnb I found myself fascinated by the variety of homes available in New York. Location is responsible for a big variety in both design and price of available units. Inspired by BuzzFeed posts like these which focus on the difference in rent prices across different states, I thought it'd be fun to compare how far $200 a night can get you in New York— that's approximately the average rate for an entire home according to Inside Airbnb. 1.) I will only be comparing "entire units", not private rooms or shared rooms. 2.) 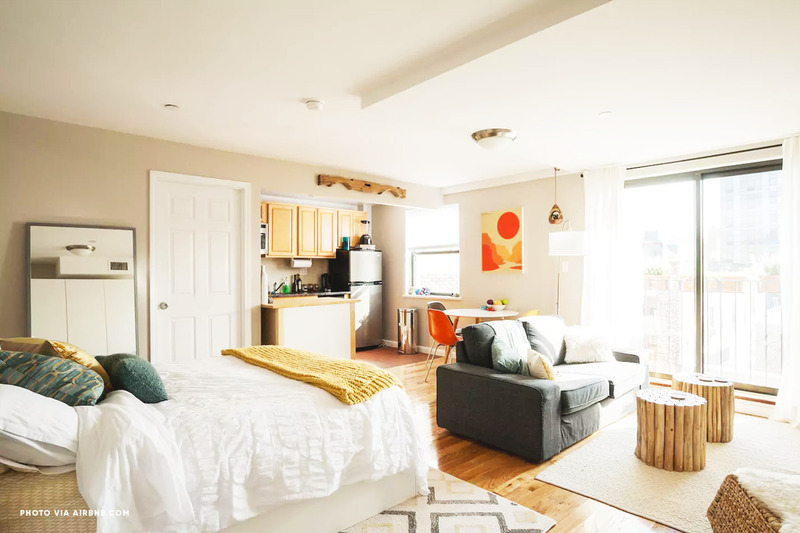 I'll be comparing Airbnbs in all five boroughs (Manhattan, Brooklyn, Queens, Bronx, and Staten Island) as well as New Jersey. 3.) I won't be factoring in cleaning fees since that will vary the nightly rate based length of stay. 4.) I'll be looking for the best places I can find under $200, rather than showing you the most typical place. We're talking best case scenario here! 5.) In order to determine the 'best' I'm factoring in: design, size, location, and amenities. 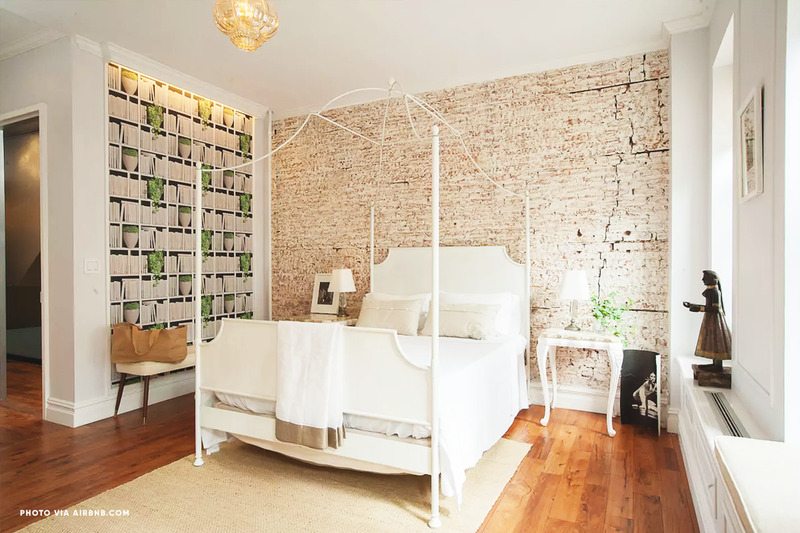 'Lush' is the first word that comes to mind to describe this romantic Airbnb located at the crux of SoHo & Chinatown. 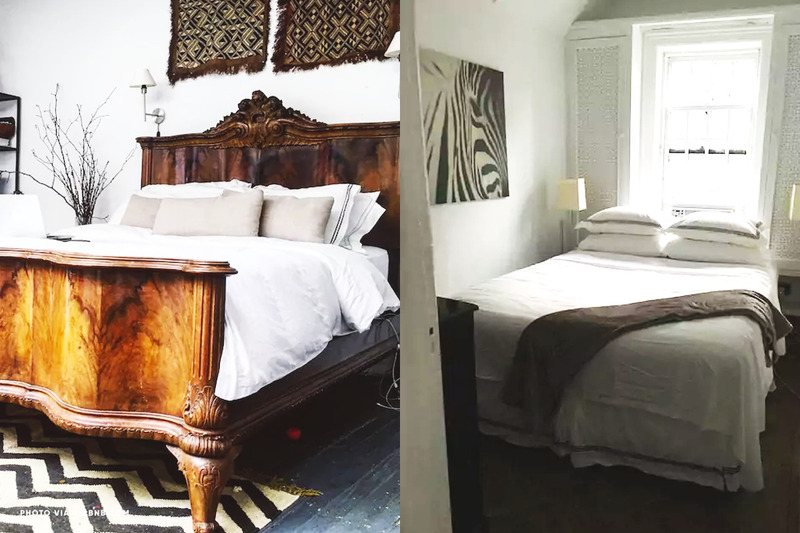 This airbnb has two beds (one is curtained off from the living area) and can accommodate up to 4 guests. 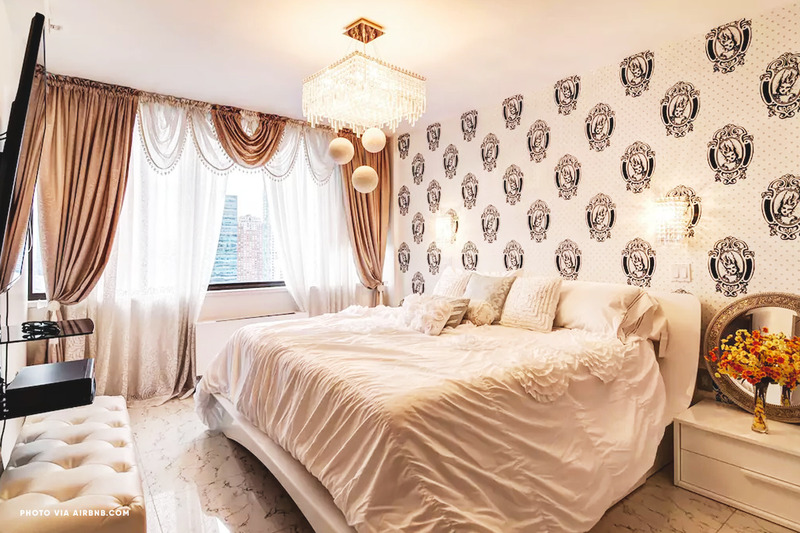 Pro's: Big for a downtown apartment, centrally located near trendy shops and restaurants, elevator, laundry, king-sized Casper bed, great taste in wallpaper. Con's: The second 'bedroom' has less privacy. There is a step-free path that leads to the Airbnb's elevator. The elevator door is at least 32 inches wide. 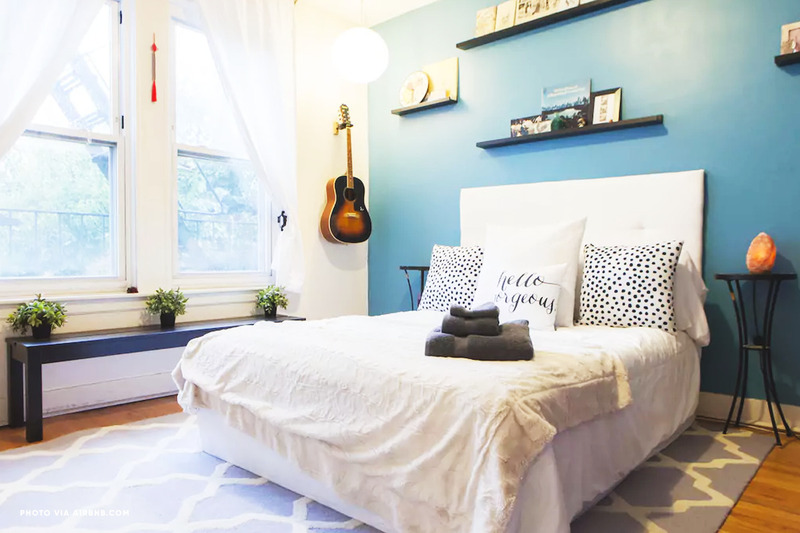 This airy Airbnb, which can accomodate up to 2 guests, is located on the third floor of an 1800's brownstone and manages to make a small space feel open and bright. The host is also the owner of an Indian restaurant located downstairs. 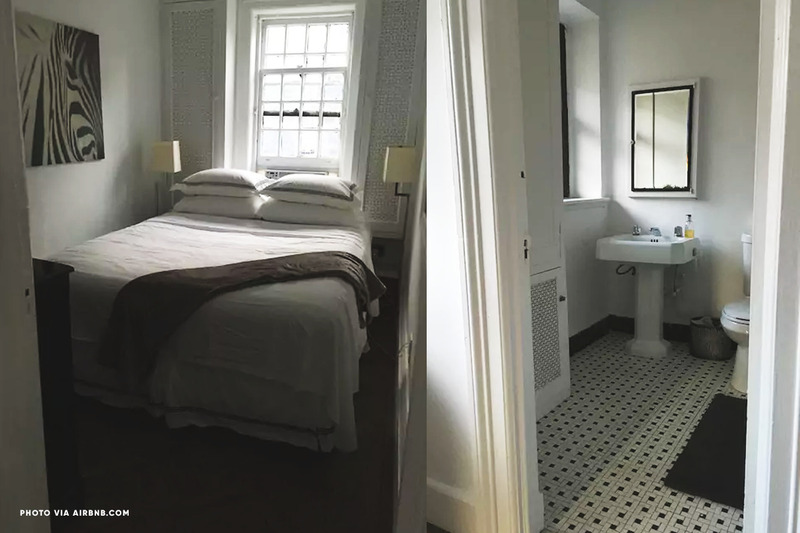 Pro's: Renovated bathroom and kitchenette, solar shades, historical design accents, Casper mattress, located just a block from the nearest subway stop. Con's: No elevator or sofa (there is a cute French chaise but it doesn't look like the type you can sink into). Access to this studio requires going up two flights of stairs. 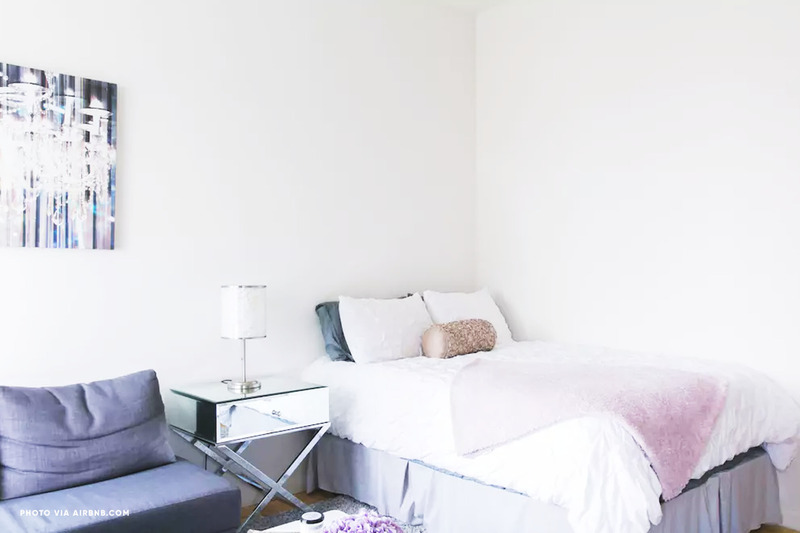 This unit is located in a luxury building downtown and utilizes modular furniture to make use of the small space. It can accommodate up to 4 people. 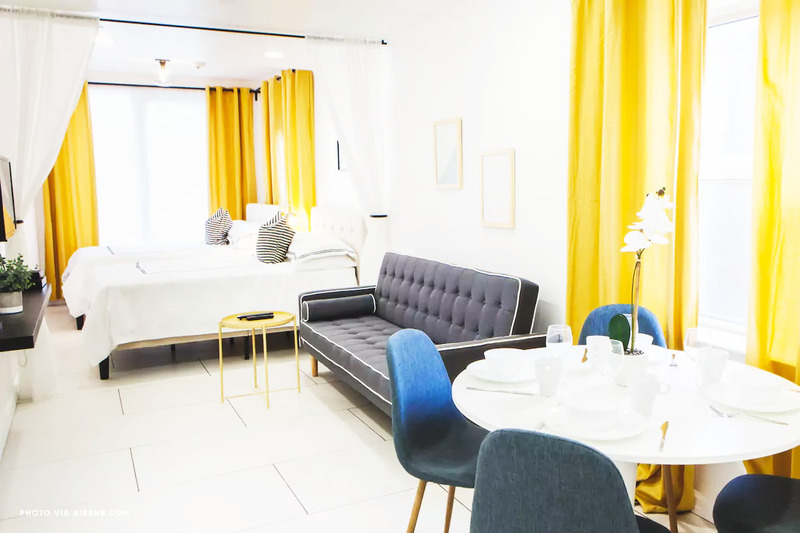 Pro's: Full-service apartment building, quiet, views of the water, laundry, elevators, lots of storage space for guests, close to multiple subway stops and tourist sights. Con's: Virtually no privacy if occupied by more than two people. Floors look a bit dated. This Airbnb has step-free access and a wide entrance doorway. 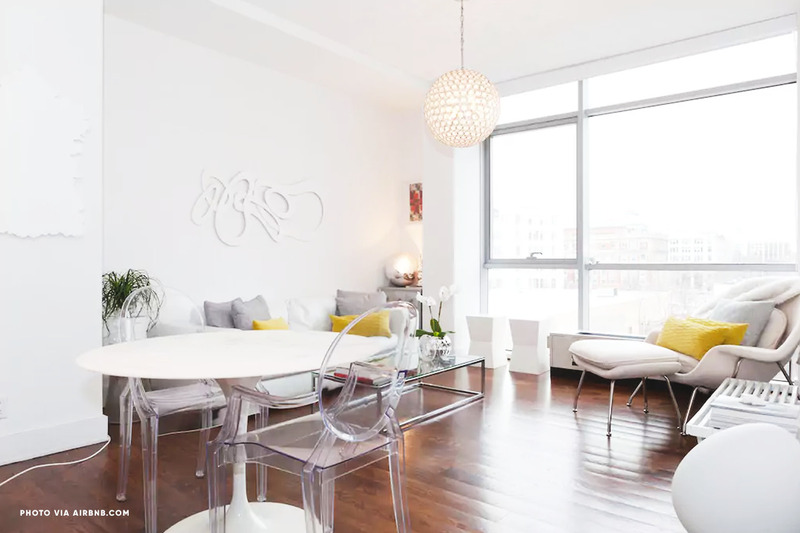 This bright white apartment is an absolute steal for the price and how many people it can comfortably accommodate. It's also located on the border between Prospect and Crown Heights. Pro's: Privacy, big kitchen, balcony, backyard garden, tin tile ceilings, heating and air conditioning for each room, and plant dad vibes. Con's: Roughly a ten minute walk to the nearest subway stop according to reviews. Access to this Airbnb currently requires stairs. 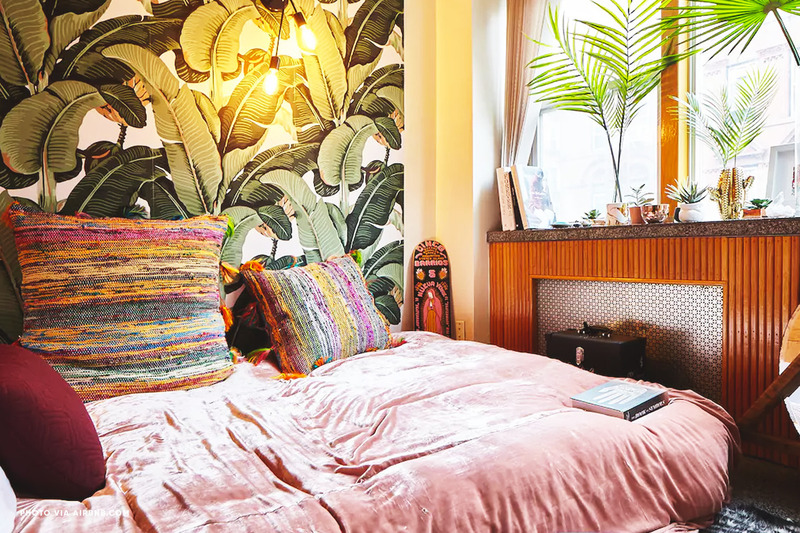 This apartment has all the classic East Village vibes — including an alcove studio that's almost like a bedroom, but not quite. The unit can accomodate up to 2 guests. 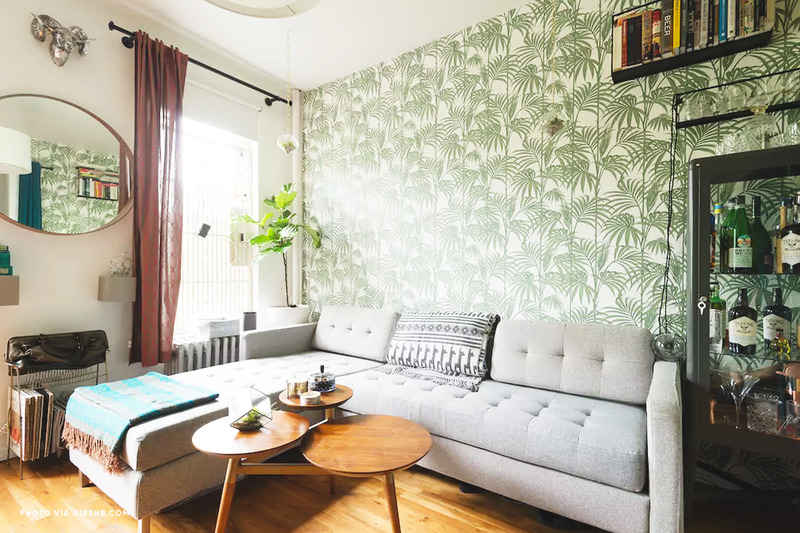 Pro's: Located near many popular restaurants and parks, dope living room wallpaper. Con's: Small, and a bit of a walk to the nearest subway stop. Please enquire directly with the host regarding accessibility. 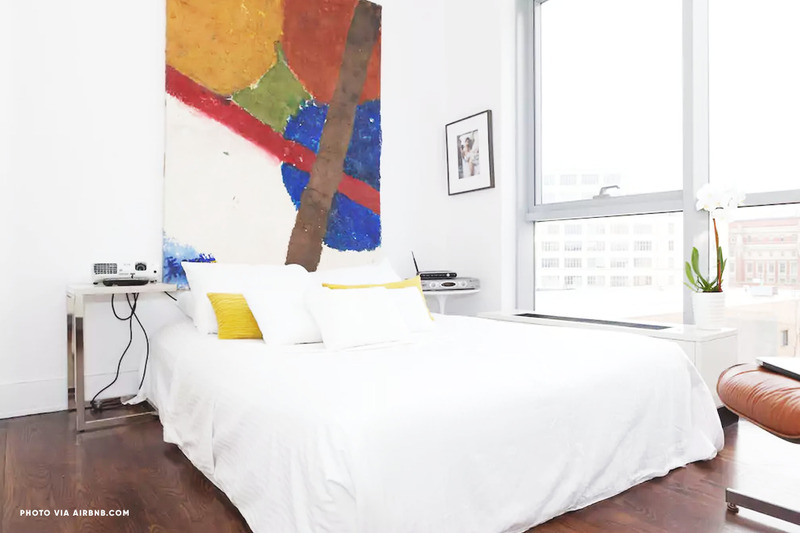 This Airbnb is located in a modern building chock full of amnenities and is conveniently located close to both the major airports and Manhattan. It can accommodate up to 4 guests, but there will be fees for over 2 guests. Pro's: Amazing views, elevators, hot tub, gym, minimal design, located two blocks from the nearest subway stop. Con's: Minimum stay varies, farther away from tourist sights and popular restaurants. This Airbnb is located in an elevator-serviced building. I honestly had to do a double-take when I realized this Airbnb was located in Staten Island. 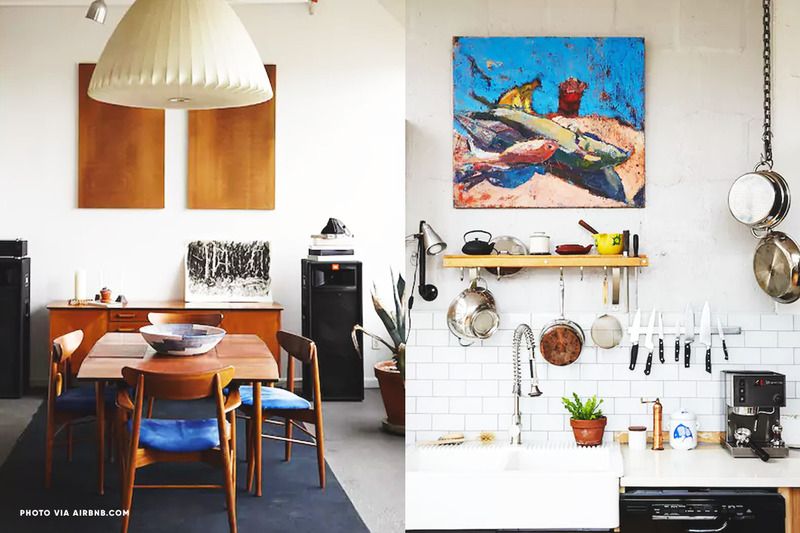 It's one of the better designed spots on this list— artful without feeling forced. It can comfortably accommodate up to 5 guests. Pro's: Spacious, sky lights, walking distance to the ferry into Manhattan, and there's an Eames chair. Con's: No air conditioning in the unit, not in the direct vicinity of many retaurants, master bedroom is separated from the main space by a curtain. This Airbnb has a flat path to the front door, wide hallway clearance, step-free access to bedroom and bathroom and an accessible-height bed. Werk! 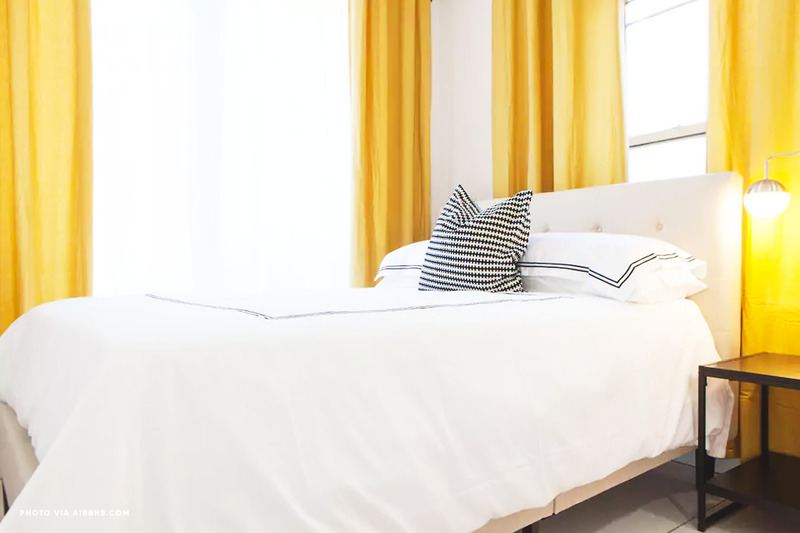 This clean and simple Midtown unit looks and feels like a tastefully decorated hotel room. It can accomodate up to 6 guests. Pro's: Clean and minimal design, modern bathroom, A+ curtain game. Con's: 4th floor walk-up, tight fit if fully occupied, and a bit of a walk to the nearest subway station. Access to this Airbnb requires going up four flights of stairs. 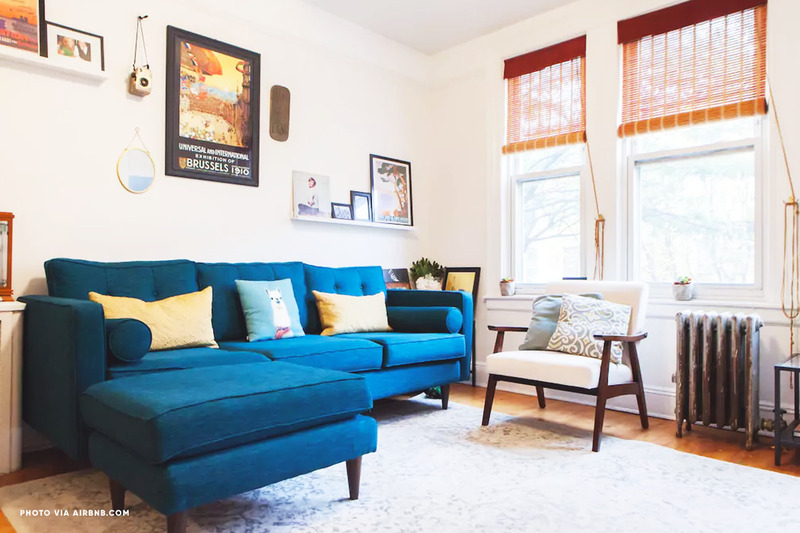 This spacious Astoria Airbnb is perfect for those who want a home-away-from-home vibe and it can accommodate up to 3 guests. Pro's: Separate dining room, big kitchen, proximity to LGA, quiet, close to tons of good restaurants. Con's: About 10 minutes walk to the nearest subway stop and 20 minutes into Manhattan. This Airbnb is located on the second floor of a three-floor building. We recommend enquiring directly with the host for more accessibility details. 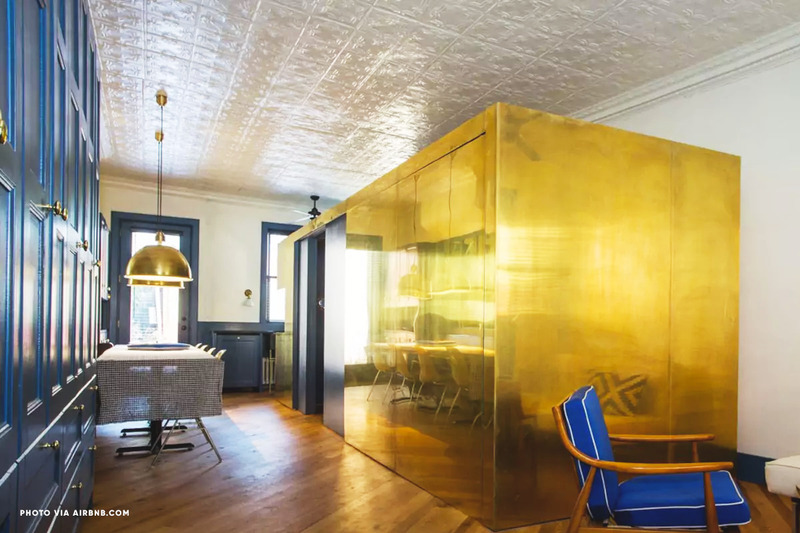 This unique Airbnb in Williamsburg feels both opulent and refined at the same time. 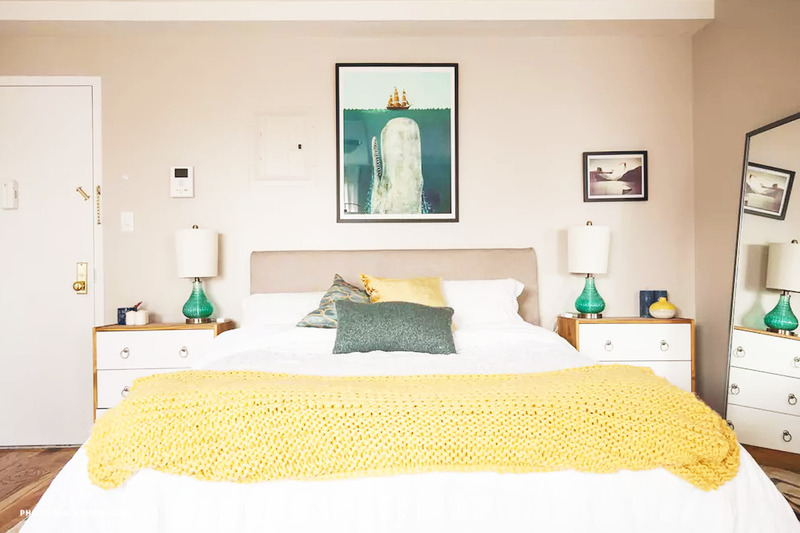 It's got a nautical vibe and labeling it a 1 bedroom, while technically true, is a bit of a stretch. The unit can accommodate up to 2 guests. Pro's: Submarine vibes, dope bathroom, great for having friends over, close to tons of trendy restaurants and shops. Con's: Ground floor unit (good for accessibility, less great for noise). While the design is awesome it makes you feel more like you're in Europe than Brooklyn. This Airbnb is located on the ground floor. We recommend enquiring directly with the host for more accessibility details. 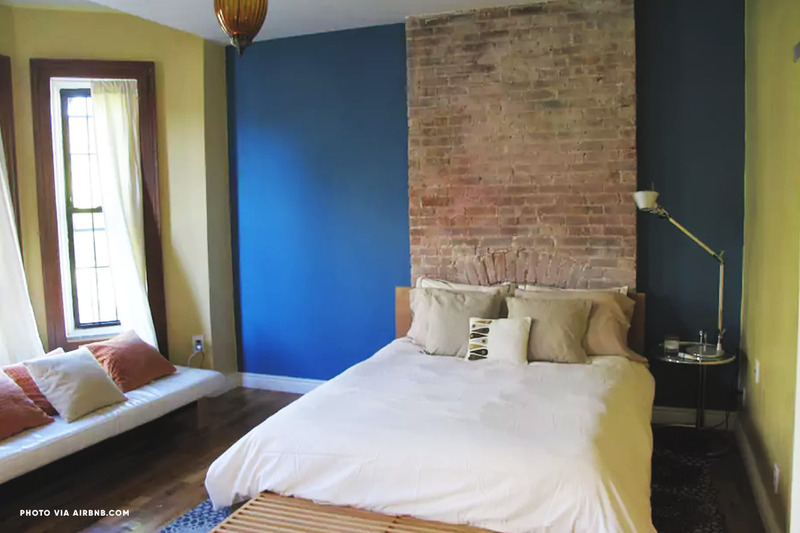 This Airbnb is located in a historical neighborhood in the Bronx and has tons of color and charm! It's ideal for a nuclear familiar and can comfortably accomodate 4 guests. Pro's: High ceilings, consistent design, air conditioning, crystal chandeliers, and located just a few blocks away from two different subway lines. Con's: Located farther away from tourist sights and trendy restaurants. It's about a 30 minute subway ride to downtown Manhattan. 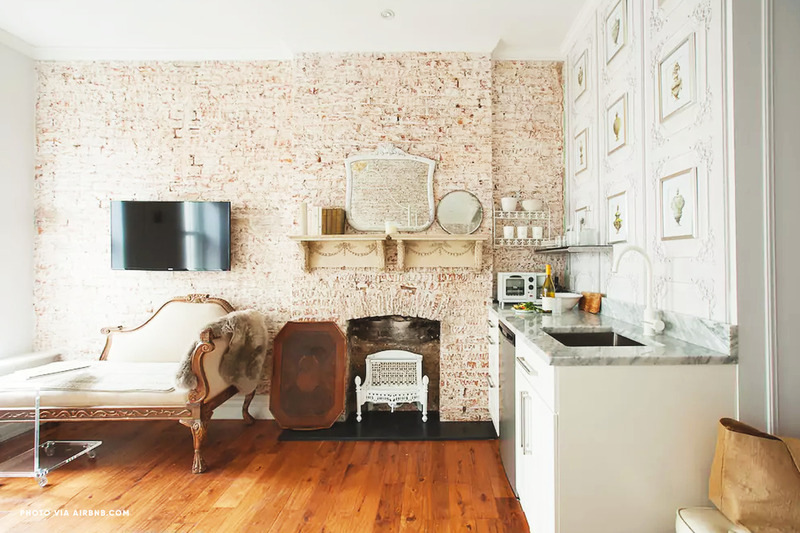 There's something charming and romantic about this simple and understated Upper East Side apartment, which tactfully uses mirrors to make the small space feel bigger. The 5th floor walk-up can accomodate up to 2 guests. 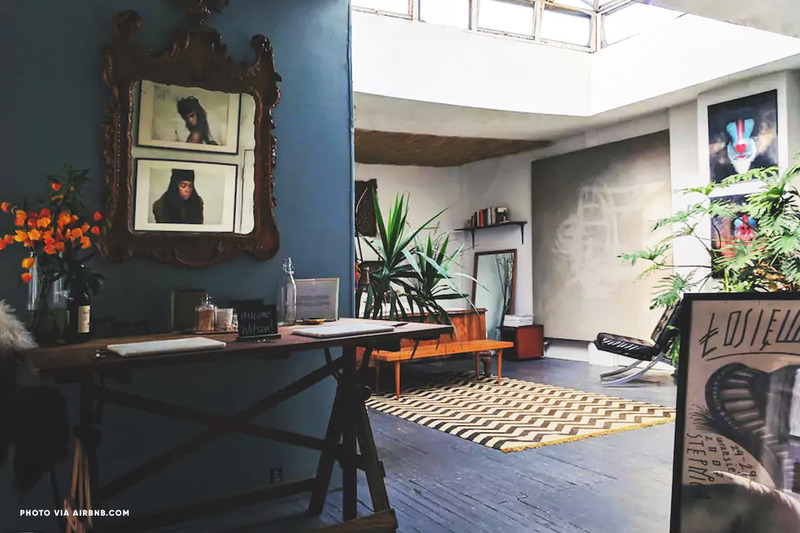 Pro's: Vintage vibes, Juliet balcony, great views, located two blocks away from the nearest subway stop, quiet, and desk space. 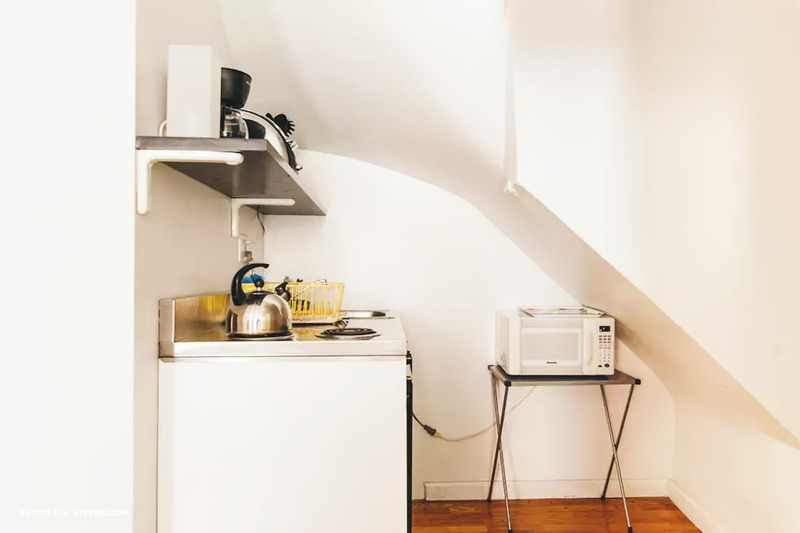 Con's: 5th floor walk-up, small, dark and tiny looking kitchenette. Access to this Airbnb requires ascending five flights of stairs. Live like a king— or a whole royal family— in this resplendent Italian-influenced New Jersey apartment which can accommodate up to 6 guests. The apartment is about a 5 minute walk away from the PATH train into Manhattan. 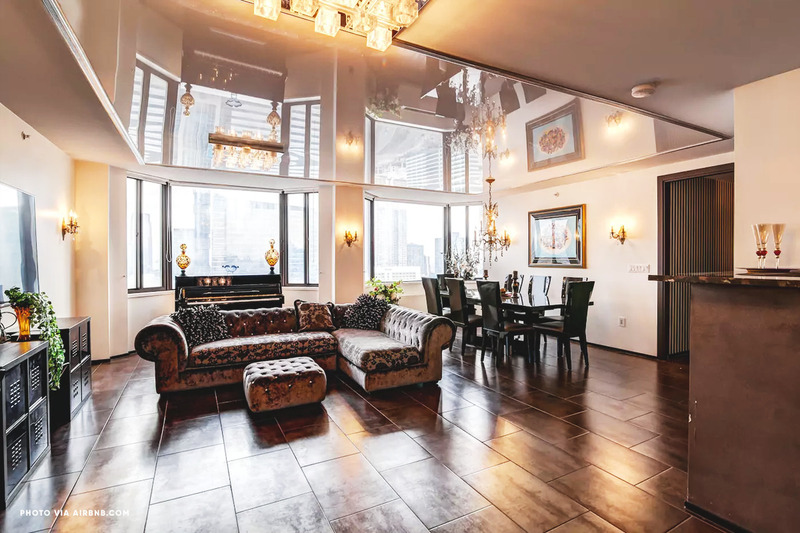 Pro's: Full-service apartment building, elevators, great views of Manhattan, huge kitchen, sauna, modern bathrooms, free pizza and wine dinner for first-time guests staying at least three nights. Con's: 30 minutes commute into Manhattan, having to deal with New Yorkers making fun of you for staying in Jersey. There is a step-free path leading to the Airbnb's elevator. The elevator door is at least 32 inches wide. 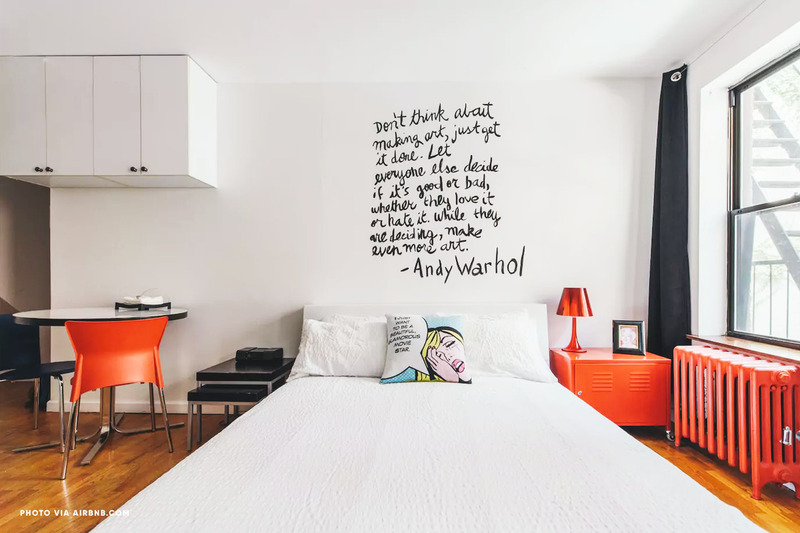 This pop art inspired abode is perfect for Broadway fans or first time visitors. It's close enough to Times Square for convenient access but far enough away to give you some space from the crowds. The studio can accommodate up to 2 guests. Pro's: Clean, well designed studio (they even painted their radiator red, I mean...), backyard garden, proximity to dope Thai food, luggage drop-off allowed, close to several tourists sights. Con's: Close to several tourist sights. This Airbnb is located on the second floor of a three story building. We recommend enquiring directly with the host for more accessibility details. 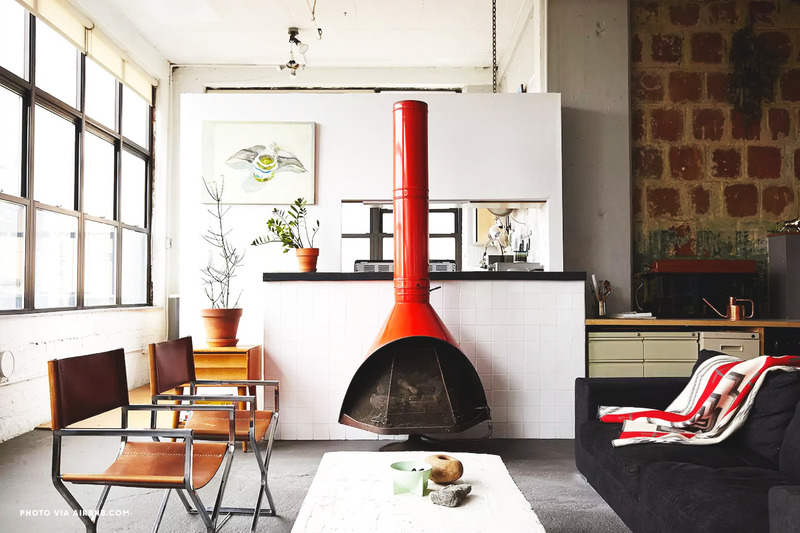 This warehouse loft gets gorgeous light and is tastefully decorated with mid-century details. It can accomodate up to 5 people but it'd be most comfortable for 2 guests. 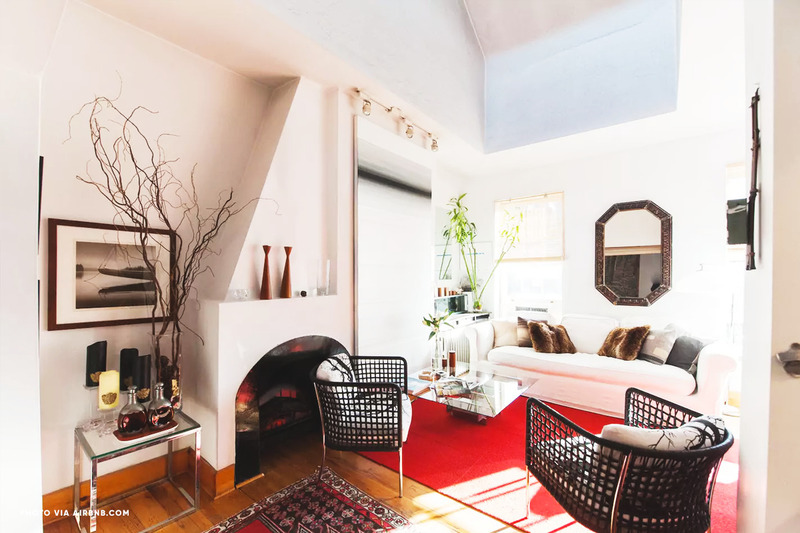 Pro's: 1000 sq feet, close to several subway lines, just a few stops away from Manhattan, high ceilings, shared roof deck, dope fireplace. Con's: Noisy location, part-time elevator service. This Airbnb has an elevator but it only runs from 11am—11pm during the week and 12pm-10pm on the weekends. 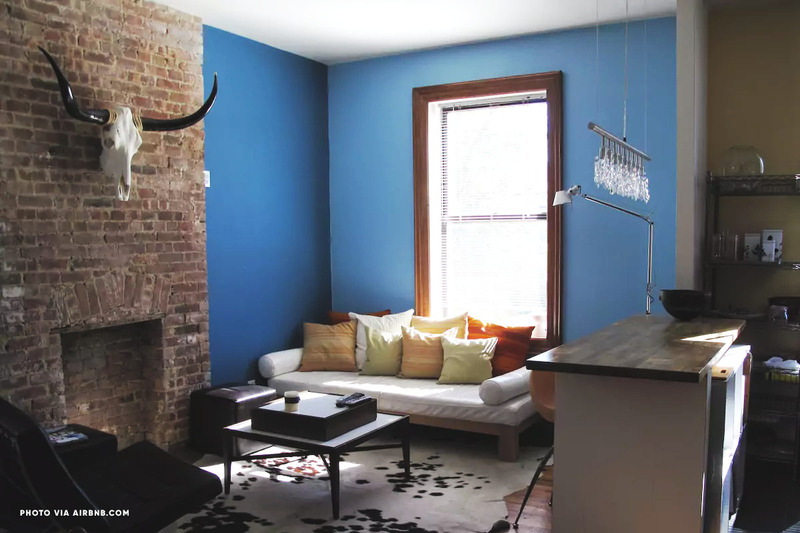 This charming Airbnb is located on the cusp of Greenwich and West Village, with a quintessentially quirky layout. 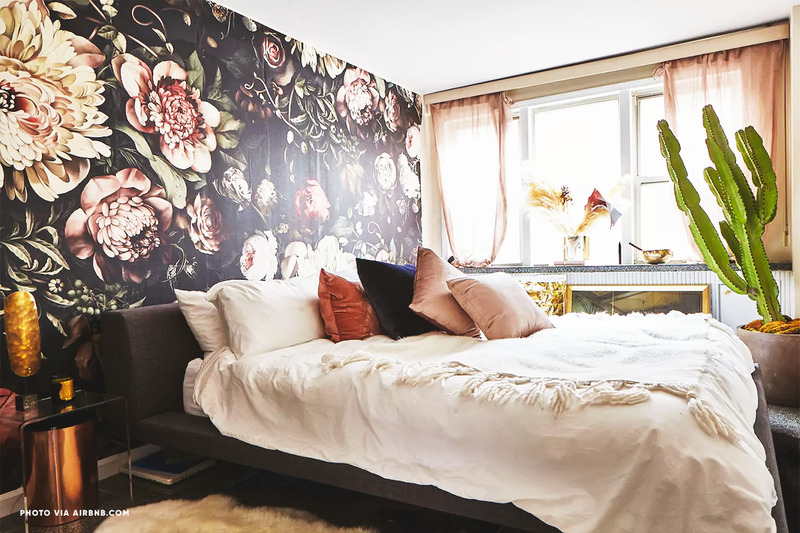 The alcove area for the bed is also quite spacious— the only thing stopping it from being a true bedroom is a door. The unit can accomodate up to 2 guests. 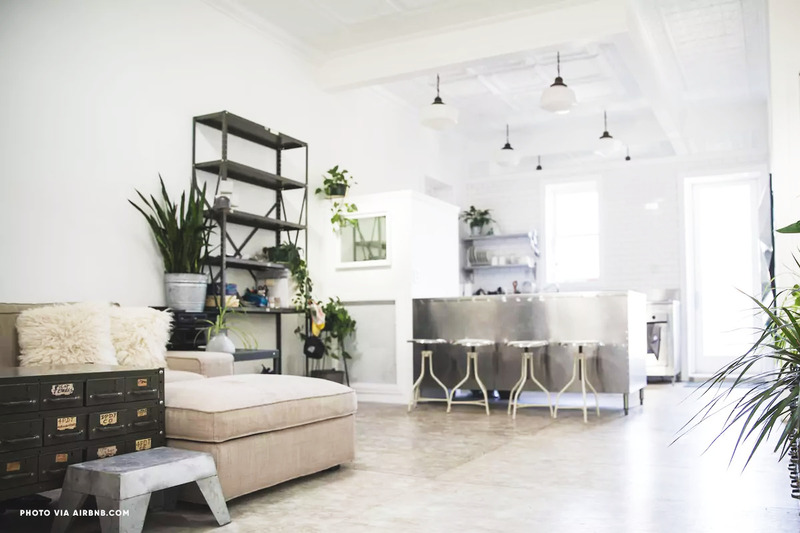 Pro's: Skylights, high ceilings, tasteful decor, bright bathroom, just a few blocks from the nearest subway stop, proximity to trendy restaurants and shopping. 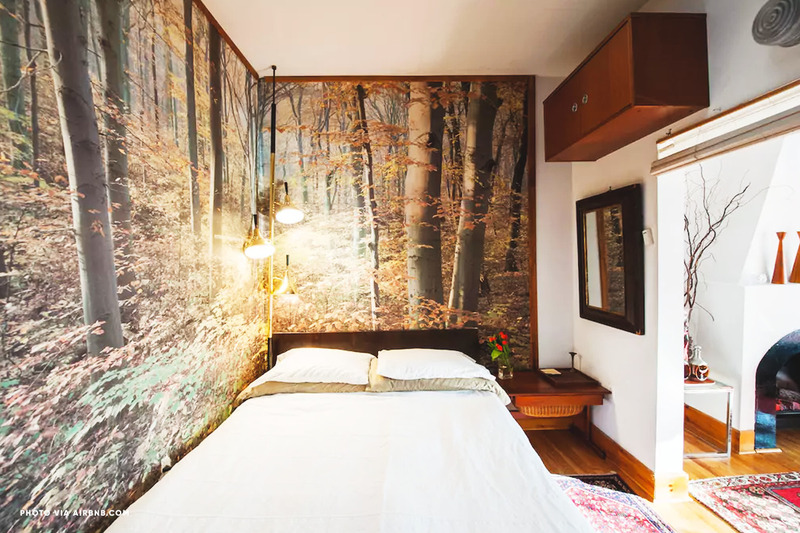 Con's: 4th floor walk-up, questionable forest wallpaper in the bedroom. Access to this Airbnb requires climbing four flights of stairs. 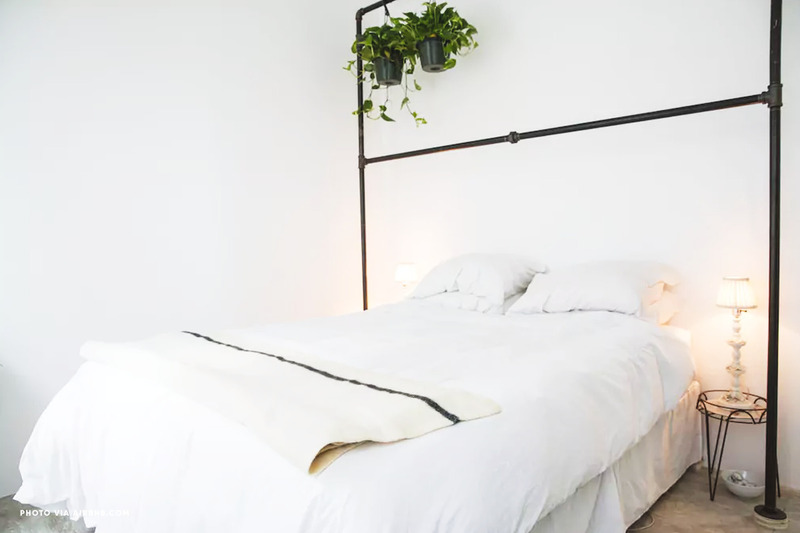 This sun-drenched Airbnb gave me déjà vu because it has the same layout as an Airbnb I stayed at in Buenos Aires. 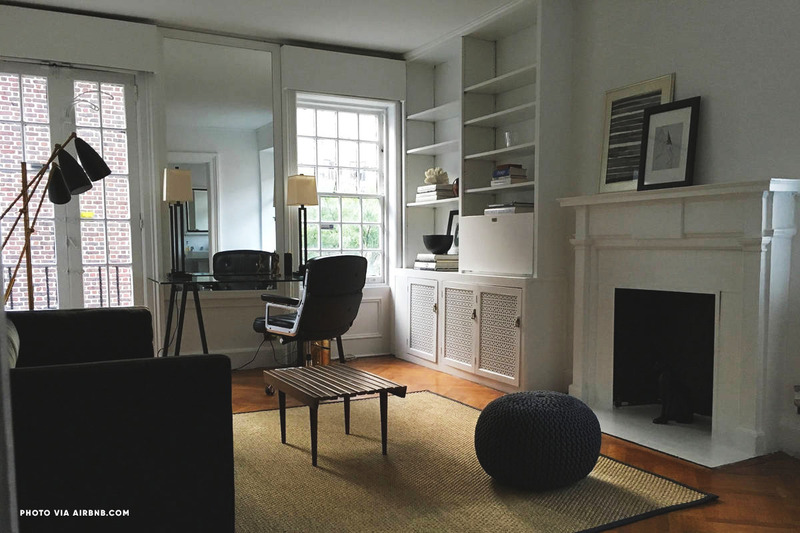 The spacious downtown apartment can accommodate up to 2 guests. 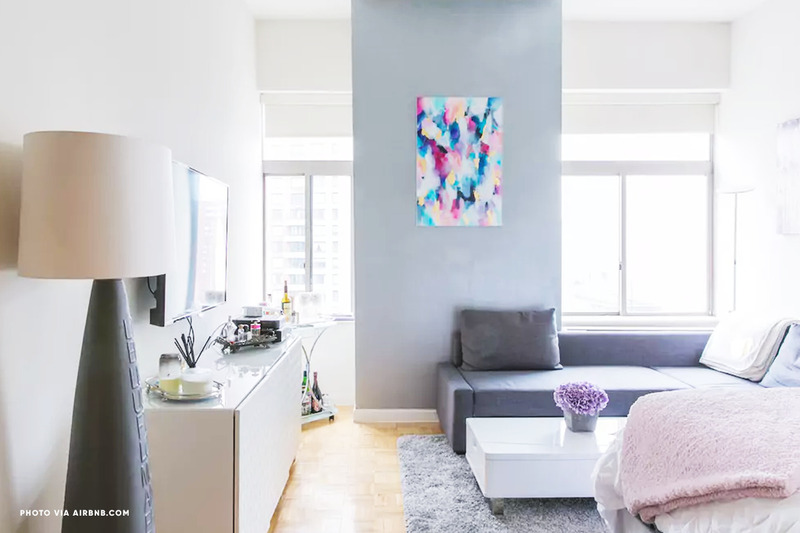 Pro's: Juliette balcony, great natural lighting, A+ color coordination, proximity to trendy restaurants and shops, elevator, and easy access to public transit. Con's: Some reviewers mention the bed being too soft, or A/C not functioning as well as it should. This Airbnb has elevator access, but we'd recommend directly contacting the host for more accessibility details. 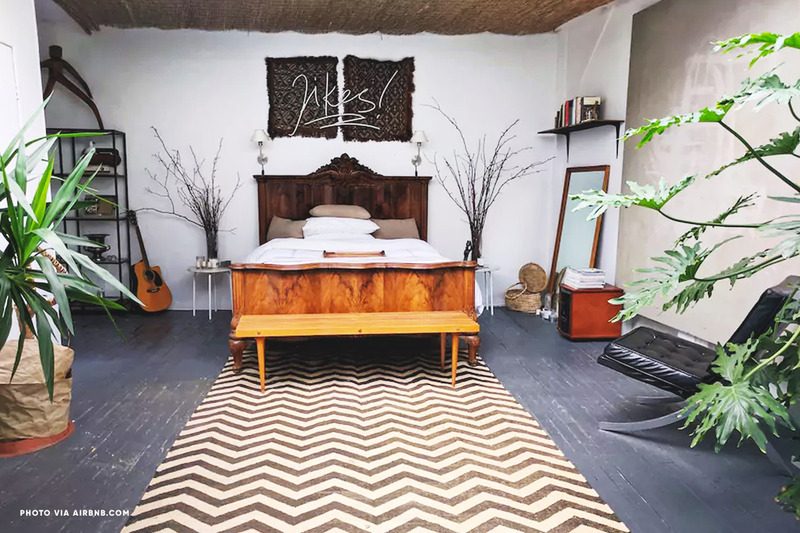 Want to see how New York Airbnbs compare with other cities?